Congratulations on your decision to attend Stevens! It is our priority to ensure that you transition smoothly into life on campus. Orientation is mandatory for all new graduate students, both international and domestic, who are enrolled Full-Time in on-campus courses. Online students do not need to attend the on-campus program and have two orientation opportunities: Welcome Orientation hosted by the course instructor and the Graduate Student Affairs Online Orientation through CANVAS. Part-time students are welcome to attend the in-person orientation session or complete the Online Orientation through CANVAS. Online Orientation will be made available via email at the start of the semester. If you were unable to attend Orientation on January 15, you are welcome to visit our office on the 7th floor of the Howe Center for a review of the information on Thursday, January 24 from 10:00am to 11:30am. During orientation week, students will hear more about the Stevens community, submit health forms, get a Stevens ID, meet for academic advisement, register for classes, and learn how to be a successful graduate student. International students must also check in with International Student and Scholar Services (ISSS) to attend a mandatory presentation about visa compliance. Optional workshops are held on the days following orientation on topics such as American classroom culture, the US banking system, and finding housing in the local area. Details regarding the schedule and logistics will be provided closer to the date. An online orientation module will be made available to you via CANVAS. Full details of how to access the online orientation module will be emailed to you soon! 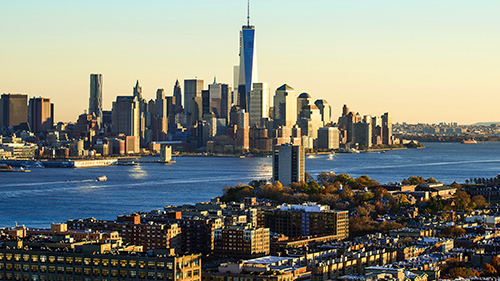 International students should plan to arrive in the Hoboken, NJ area at least 2 days prior to orientation in order to adjust to the time difference and recover from jet lag. Stevens offers an airport pick up service as well as temporary housing option for new incoming graduate students who are traveling from outside of New Jersey or outside of the United States. Advanced registration is required for these services. Please contact ISSS with questions about this check-in process.